The National Center on Health, Physical Activity and Disability, the American Association on Health and Disability, and the Center on Disability at the Public Health Institute recently joined the President’s Council on Fitness, Sports and Nutrition (PCFSN) to launch the national Commit to Inclusion campaign. The goal of the campaign is to encourage individuals, organizations and key stakeholders to help build healthy, inclusive communities. The Commit to Inclusion campaign was launched as a call to action following the “White House Summit and Research Forum on Improved Health and Fitness for Americans with Disabilities,” co-sponsored by PCFSN and the Eunice Kennedy Shriver National Institute of Child Health and Human Development of the National Institutes of Health. 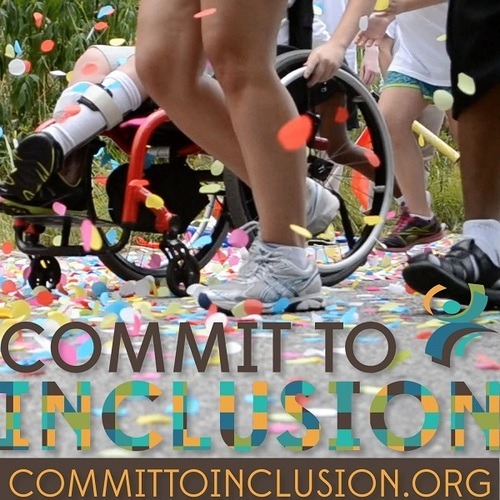 Commit to Inclusion is a campaign that supports the implementation of Guidelines for Disability Inclusion and programming like “I Can Do It, You Can Do It” to empower people with disability to lead healthy, active lifestyles. While there will always be a need for specialized health promotion interventions targeting specific disability groups, there is a need to promote more inclusive programming to address the obesity epidemic in the United States. Obesity rates are higher for adults (58%) and children (38%) with disability compared to those without disability. Physical activity can provide individuals with disability the strength and stamina required to participate in all aspects of life successfully. 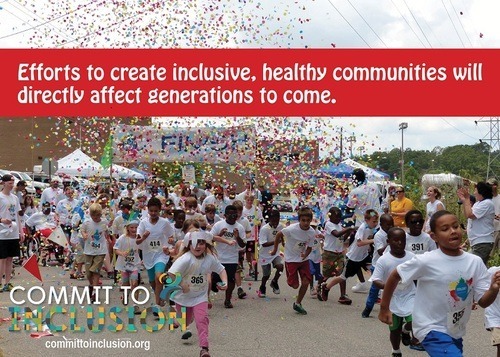 By joining the Commit to Inclusion campaign, you are helping to build healthy, inclusive communities while engaging, educating, and empowering all Americans across the lifespan to adopt a healthy lifestyle that includes regular physical activity and good nutrition. 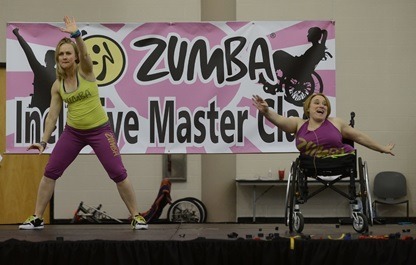 We challenge you to follow in Zumba®’s footsteps to make the commitment today and join the social media movement to share what #InclusionMeans for you! To learn more about the campaign and to commit visit commmittoinclusion.org.